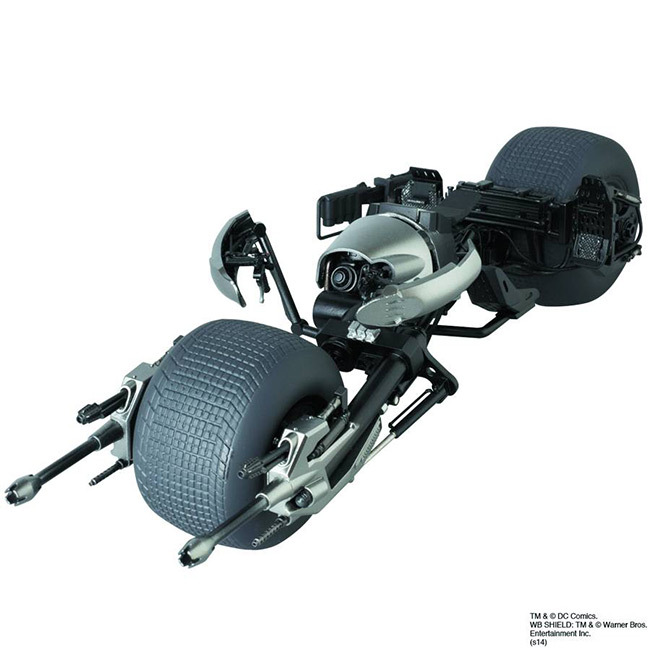 (BALTIMORE, MD) - (September 10, 2014) - MEDICOM Toy Corporation delivers a new take on Christian Bale's Batman with The Dark Knight Rises Miracle Action Figure (MAFEX) and Batpod. Both are great additions to any Batman fan's collection, these one-of-a-kind figures are scheduled to ship exclusively to comic book specialty shops in May 2015. 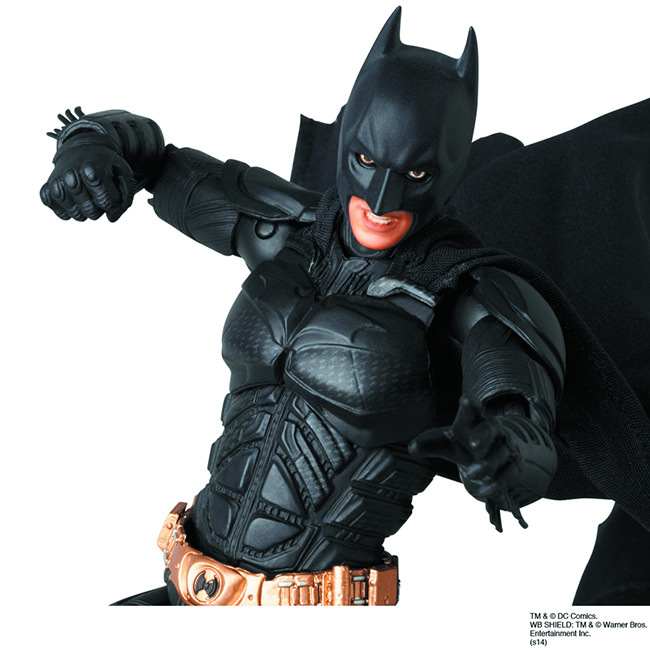 Based on Bale's appearance in the third movie of director Christopher Nolan's Batman trilogy, The Dark Knight Rises Action Figure 2.0 (Item Code: SEP142379, SRP: $49.99, pg 500) comes packed with multiple hands for action poses, multiple faces with different expressions (including a cowl-less version), and the EMP Rifle. 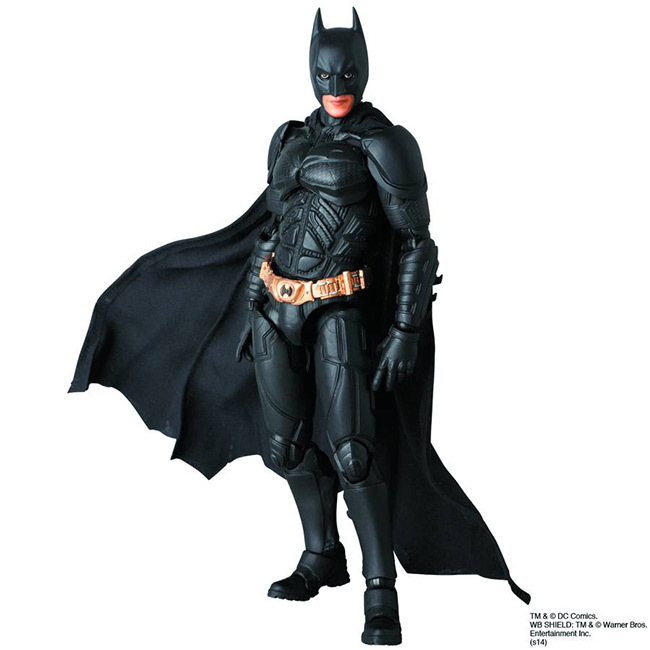 Standing 6" tall, this figure is one of the most detailed Batman figures on the market today! September 2014 - Outsmart Originals is back and celebrating its 2nd Anniversary with some awesome new releases. First up is the latest design from AW177. Now you can represent the Legendary Outlaws with this new design by artist AW177 aka Allen Wen. Roaming the universe leading a rag tag group of mercenaries as the galaxy's protectors, the Legendary Outlaw, who was wrongly accused as being a traitor, is looking for support. 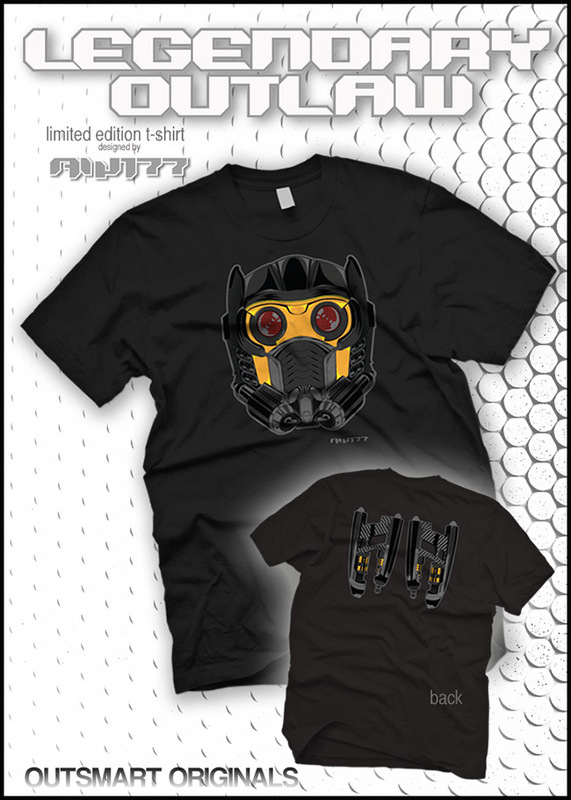 His iconic helmet, recreated with incredible detail, has now been captured on this new t-shirt and will be made available for a limited time. In typical Outsmart Originals fashion, we've gone that extra step and added the hero's blasters (screen printed) on the back of our high quality tees. 150 Featured Sale Items on Sale! Great figures from Transfomers, Marvel, DC, Video Games, Third Party, And Much More! This new Case assortment includes two each of Ep III Darth Vader, Ep V Yoda (Jedi Training), R5G19, Ep V Hoth Luke (Wampa Attack), Darth Malgus and Starkiller and is priced at $114.99, with the Set of 6 (one of each figure) priced at $59.99. A secondary Set of 4 new figures (R5G19, Ep V Hoth Luke (Wampa Attack), Darth Malgus and Starkiller) is listed at $44.99, and singles of these four new figures are available at $11.99 each. 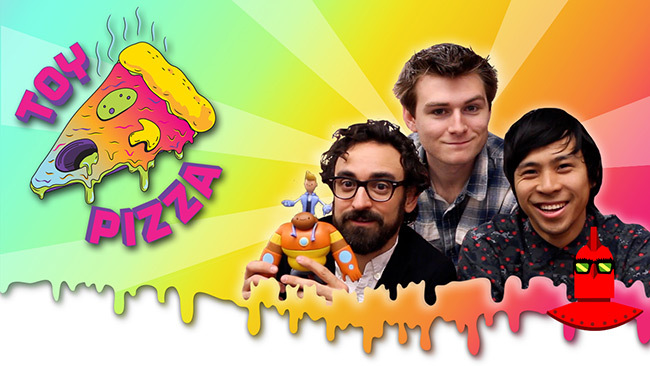 September 2014 - The Toy Pizza series on YouTube has a new episode up! Click here to check it out! This episode features Hello Kitty and Animal Crossing toys, along with the Ghidorah plush toy from Godzilla. September 7, 2014 - Listed below are the toy (and child-related) recalls from this week; these links go to the official announcements on the Consumer Product Safety Commission web site. Star Saber was the winner of the "Masterpiece Fan's Choice" contest that took place in 2013. This Masterpiece version of a long time fan favorite is sure to please. Preorders have been opened at just $169.99. This cool repaint of the Masterpiece MP-20 Wheeljack is based on the original Japanese Diaclone color scheme. This figure features a new head and wears the Decepticon logo. Preorders are now open at $79.99. September 2014 - DC has a new contest, the New 52 Futures End Lenticular Cover Sweepstakes. Enter by September 30th to win a set of comic books with lenticular covers.